Pick one of the strongest cutting mills on the market! Multiple cutting blade options allow for a wide variety of milling options. 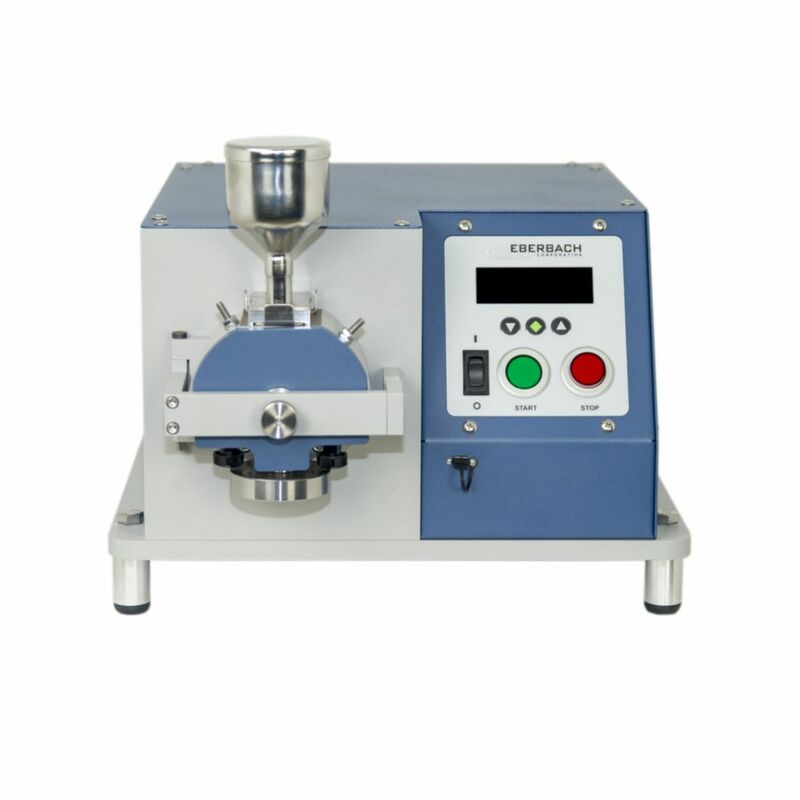 Everything you need to mill your product is included with purchase. The hard, steel cutting edges on the knives allow milling of a wider range of materials, including plastics, animal feed, bones, cables, cardboard, electronic scrap, feed pellets, foils, food, leather, material mixtures, non-ferrous metals, paper, pharmaceutical products, refuse derived fuels, rubber, waste, wood and so much more. 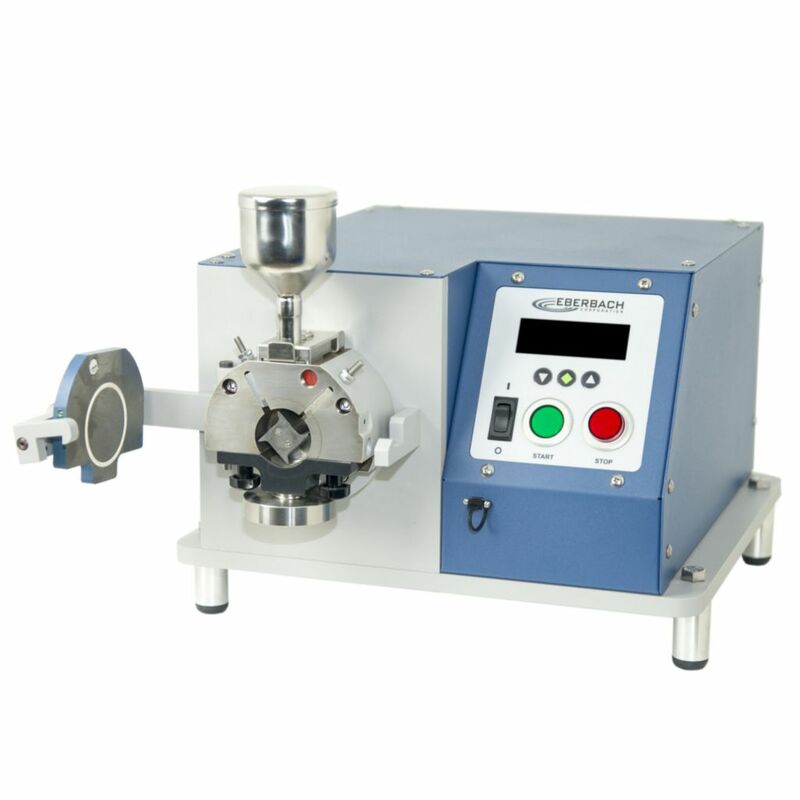 The E3303 is designed with a machine tool type of cartridge spindle, small powerful servo motor which allows for variable speed operation of 0 - 2,400 rpms with high torque. The chamber door comes standard with a door safety switch and the machine has legs to set on top of a benchtop or the legs can be removed and the machine can be bolted directly to a benchtop. Samples introduced through the hopper are swept around by the rotor until they are cut to sufficient fineness to pass through sieve. 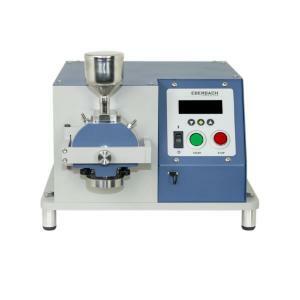 Ordering information: The E3303 is supplied with stainless steel hopper including cover, wooden plunger, one rotating cutting head, one set of stationary blades, three (3) stainless steel sieves (20, 40 and 60 mesh), one jar adapter, one 4oz. collection jar, and cleaning brush. Delivery information: Product ships LTL in a crate.